Deep-brain stimulation (DBS) is one of the most effective treatments of the effect of Parkinson disease, including tremor. However, the various parameters of the DBS signal is rarely perfect for optimal treatment, and often needs adjustments from a highly skilled neurologist. 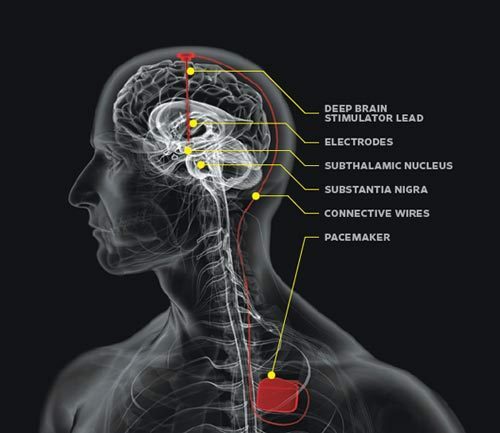 Project EKLIPS is a joint-venture project between Uppsala University, Uppsala University Hospital and Stardots, and is a cloud- and AI-powered platform for increasing the effectiveness of Parkinson DBS-treatments. EKLIPS will build a cloud platform for giving hospital personal access to AI-powered parameter suggestions, using various sources of inputs including pre- and post-op brain images and symptom quantification indicators. Head of the research group that takes care of all modelling and algorithms development Prof. Alexander Medvedev from control systems group at Uppsala university. The neurological expert and manager of the clinical trials is Assoc. Prof. Dag Nyholm from the Uppsala University Hospital. Stardots is taking care of all application development, cloud services and AI integrations. Stardots is thrilled to have three extremely competent and hardworking project partners and are looking forward to improving DBS-treatment and hence the quality of life of patients with Parkinson´s disease. In addition, EKLIPS was awarded an AI grant from Vinnova, Swedish Agency for Innovation.